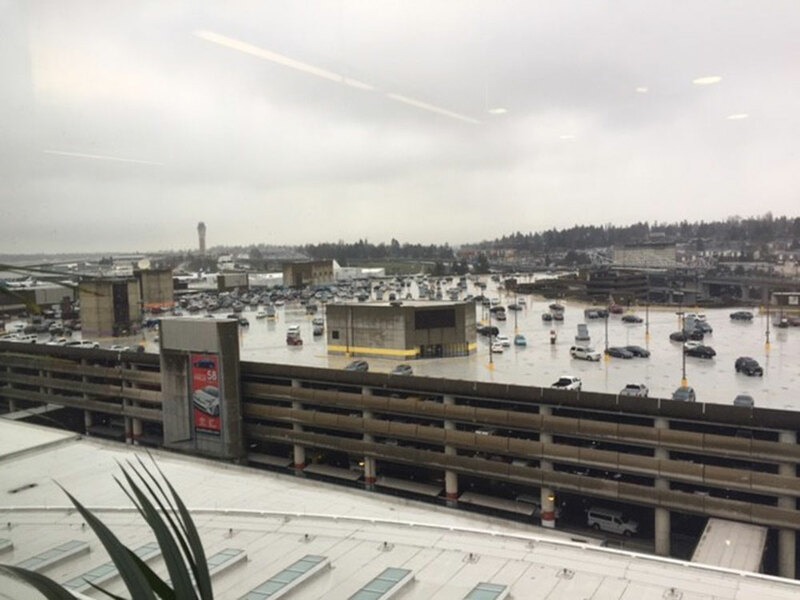 HMMH was engaged by the Port of Seattle (“Port”) to assess opportunities to supply solar photovoltaic (PV) energy to the Seattle-Tacoma International Airport (SEA). A Preliminary Solar Assessment Study was conducted to look at options for siting solar panels at SEA and to investigate alternatives for procuring solar power from off-site locations. Initial screening of on-airport locations was performed. Current and future uses of airport properties were considered, and ten sites at which solar PV development might take place at SEA were identified. Preliminary design concepts were developed for each location and analyzed in more detail, including analysis of Port electric supply in those locations, current and future uses of the sites and environmental considerations. Each site was also modeled using the FAA-approved GlareGauge tool, which showed that all ten sites can be developed in compliance with airport glare guidelines. Based on costs of similar projects, preliminary design were prepared and provided to the Port. The Port also requested that HMMH assess the potential for utilizing solar PV electricity to heat water using resistance heaters in the hot water system for sites identified on or immediately adjacent to buildings at SEA. HMMH prepared a white paper providing an overview of the types of solar PV technologies to heat water along with comparisons to traditional solar PV grid installation, costs, potential carbon dioxide offsets, and locations at the Port where this technology could be implemented.